In the kitchen today planning my New Year's Eve recipes and these dishes caught my eye. They all look delicious and fairly simple to pull together. 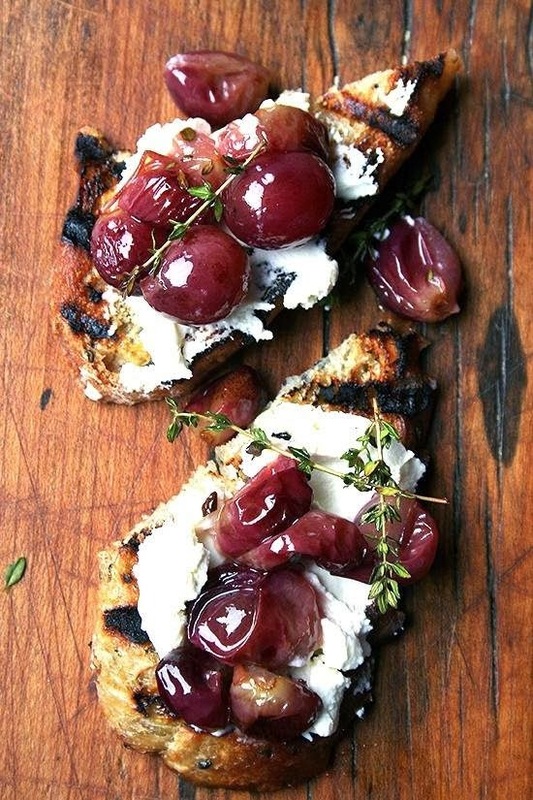 Crostini is a great finger food that packs a lot of flavor ... using a panini press to grill the bread would make this dish even easier to make. 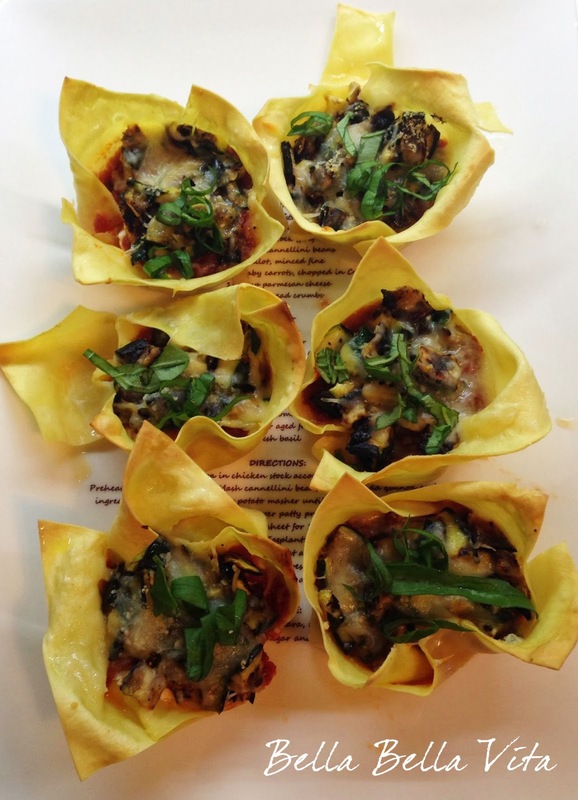 I've had these lasagne cupcakes from Heirloom LA before at a catered event and they are unbelievable! You can order them online at the link above - just heat and serve. They will certainly be the hit of your party! 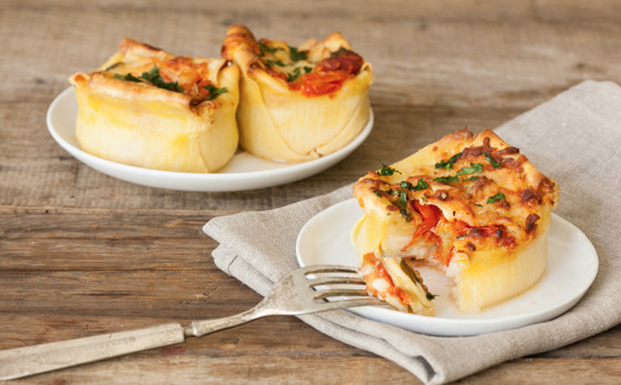 I've also made and posted my own version of Lasagne Cakes and loved how they turned out. They were super easy to make with fresh lasagne sheets I bought at the grocery store. Click here for recipe. 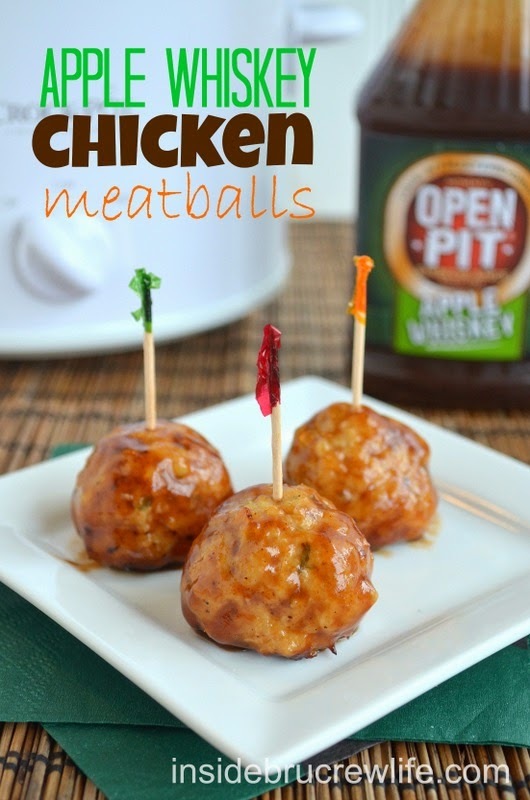 Who doesn't love meatballs and bbq? I'm definitely making these! Ah, pizza. 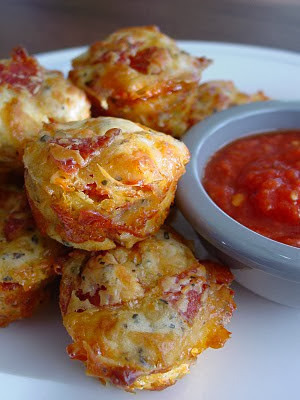 Love these pizza "muffins" and they'll be much easier to eat as finger food. I've always found eating a slice of pizza while standing at a party to be so awkward and I usually pass. These are perfect!